Recep Şentürk was born in 1964 in Çankırı. He completed his undergraduate studies in Marmara University, Department of Theology. After completing his Master's degree in Istanbul University, Faculty of Literature, Department of Sociology in 1988, he became an assistant in the same department. In 1998, he completed his Ph.D. at Columbia University, New York, USA. He became an Associate Professor in 2003 and Professor in 2008. 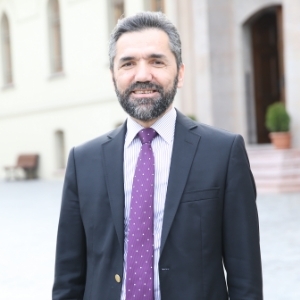 He is a member of the board of visitors in Sabahattin Zaim University, Chairman of the International Ibn Khaldun Society and the Dean of Ibn Khaldun University.